Denver!!! My Morning Jacket is headed to 1STBANK Center to ring in the new year, December 29, 30 & 31, 2017! The band has partnered with CID Entertainment to offer VIP Experiences, Travel Packages, and Shuttle packages for this New Years Eve celebration! Roll Call members get access to tickets and packages before the general public starting tomorrow, Tuesday, August 8th. My Morning Jacket New Year’s Eve “The ‘Z’ Experience”: Ring in the new year in a private lounge and gallery with MMJ memorabilia, photos, and posters. You’ll travel back through time with your pals, and take a photo on the original stage set from MMJ's 'Z’ tour! 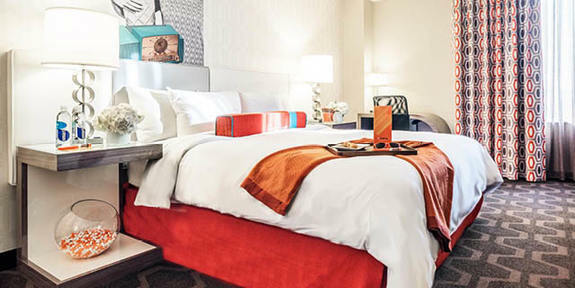 The Z lounge includes a cash bar, complimentary appetizers, coat check, and much more. In addition to the lounge, 'Z' Experience guests will have access to the floor before the general public (get close to the stage!) and take home a signed poster and other gifts to commemorate the night. 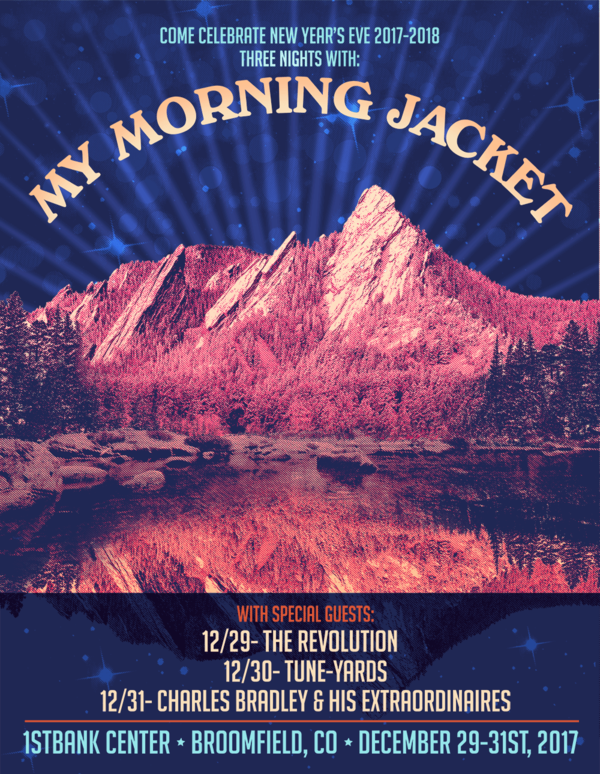 My Morning Jacket New Year’s Eve Official Travel Packages: For fans coming from out of town or looking for a place to stay, travel packages bundle hotel accommodations, concert tickets, and roundtrip shuttle transportation to and from the show. My Morning Jacket New Year's Eve Shuttle Transportation: My Morning Jacket New Year’s Eve 2017 shuttle passes include round-trip shuttle transportation to and from 1STBANK Center, a pre-party with food & drink specials prior to departure, and on-board snacks provided by KIND. Shuttle pass check-in starts 90 minutes prior to departure for 1STBANK Center, so you can kick back, relax, and enjoy the food & drink specials before the show each day.